Many of us spend most of our lives attempting to climb the corporate ladder. Most of us strive after money in order to live life on our own terms – let’s be honest, it is good to be in charge. Status has its privileges, but Our Lord desires something more from us. The following is the homily I preached Sunday. For those who heard me preach, you will notice that you did not hear everything that follows. I tailor for the audience but I have shared it in its entirety. Can I fall out of love? Peace, re-assurance, pleasure, are the goals I seek, I cannot crawl one inch outside my proper skin: I talk of love –a scholar’s parrot may talk Greek– But, self-imprisoned, always end where I begin. What is the mercenary heart? It is the heart that always must have its way, in its time on its terms. If we take a moment in honest reflection, we would see that all of us are mercenaries concerning our relationships, but especially with God. We so often use the people around us to get what we want and our Lord is no different. Do you remember when you first encountered God? Maybe it was at work camp, a youth conference, a sunrise that took your breath away – or for the mothers present here today, the moment when you saw and held your first-born. Regardless of the circumstance, we encountered Him and He changed our lives. We then pursued Him because of the feeling He gave us. We were excited about prayer. We were excited to learn about our faith. All these consolations flooded in and it sustained us…for a time. And, as time progressed, the feelings faded, the consolations ended until we arrived at the point where we say, “I’m here Lord…where are you.” St. Therese for 13 years, praying multiple times a day said that very statement. It is at this point, the saints tell us, that love begins to grow. When there is nothing left. When we feel abandoned. When we are not getting our way. Many times though we give up and give in. We act like that two year old who throws a tantrum because they are not getting their way. But the truth is – we need all the feelings and warm fuzzes to be taken away. Love is choosing that relationship when there is no reason to choose, when it is not convenient, when it seems like the worse decision ever. Could you imagine if our mothers, when the baby woke up at 3:00 am, said, “Oh let him/her cry! I need my sleep. I tried to feed them at 5 pm, it is their fault they chose not to eat.” We would all say that her reply is ridiculous and we would be correct. Dedicated to prayer regardless of our feelings. Commit to a time and hold to it. Ruthlessly honest with ourselves concerning our sins. Generous in receiving the grace of reconciliation. We must allow the love of the Father to bathe us in His glory. The homilies were too short. The talks were not entertaining. The Church didn’t look like a Church. All these “reasons”, are tell-tale signs of incredible immaturity. If any of us here struggle with these, it means that we are still seeking the gift and not the Giver. It means we like to be entertained and not do the work of a disciple. It means we have not yet learned to love. What is important is what happens on this altar. That the King of the universe descends and is present among us. The spiritual life is not about entertainment. Youth ministry is not about entertaining you but training you to do the work of a disciple. It is boot camp before you are sent out into battle – whether you are ready or not. All activities we do have the singular goal of equipping you for heaven and evangelization. Mary’s life was always about bringing Jesus to everyone she met. And that is more real than we probably could imagine. in fact, science tells us that when a mother is pregnant with he child some of the cells – even stem cells – remain in her for the rest of her rlife…And the same is true for all of you mothers present tonight. You will always carry your children within you…Mary truely brought Jesus to everyone because she was a living tabrenacle of His physical presence everywhere she went. We might even say that she was like a ciborium that still contained the fragments of the host that was just in it. Jesus in the Gospel said, “Remain in my love” not cuddle with me. Love is a choice of sacrifice not fireworks and hugs. Our Lord’s example of love? The cross. Are you willing to persevere in love till it kills you? Happy feast day to all the parishoners of St. Mary of Sorrows in Fairfax, Virginia. Today, is the Feast of Our Lady of Sorrows that celebrates its origin with the Order of the Servants of Mary or the Servite friars (Servites) in 1238. 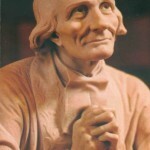 In fact, this is the principle devotion of the order. The devotion to Our Lady of Sorrows then was promulgated by the provincial synod of Cologne in 1413. May Our Lady richly bless you today! 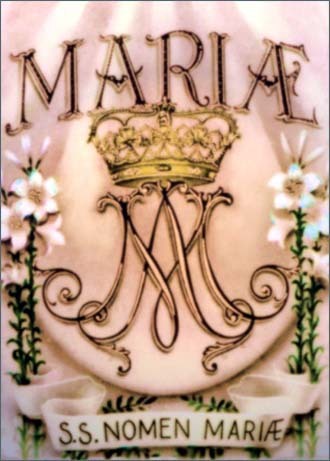 The Church, since 1684, celebrates today the Feast of the Holy Name of Mary. This feast commerates the victory at the Battle of Vienna in 1683 during which the Polish-Lithuanian Commonwealth (Holy League) liberated the besieged Vienna on the fields of Kahlenberg. For the history buffs, this battle is noted as the largest calvary charge in history (20,000 men). The Holy Name of the Blessed Virgin Mary, a day on which the inexpressible love of the Mother of God for her Holy Child is recalled, and the eyes of the faithful are directed to the figure of the Mother of the Redeemer, for them to invoke with devotion. Pope Innocent XI inserted the feast in the General Roman Calendar, assigning to it the Sunday within the octave of the Nativity of Mary (8-15 September). The feast was taken off the General Roman Calendar after the Second Vatican Council but restored in the Second Typical Edition of the Roman Missal. Mary is the mirror of the Church. There is nothing that we can say about the Mary that we cannot say about the Church, and visa-versa. Her name is also said to be the terror of demons. At the sound of the Immaculate they flee from the one who by her own free will chose not to voluntary sin during her life. She is the proof that grace overcomes all and that the human person is capable of living a life free of sin by cooperating with the grace(s) of redemption. May her name always be on our lips! Many might ask why we honor the nativity or the birth of the Blessed Virgin Mary on this feast day. While children around the globe held a birthday party for Our Lady, today is more than a celebration commemorating her birth. The Nativity of Our Lady marks a decisive moment in human history. The first human being since Adam and Eve is born without the stain of Original Sin by way of an unmerited and singular act of divine grace. This divine act signaled the next movement of salvation history – the preparation for the Son of God to become a son of man so that, the sons of men may become sons of God. Here’s an analogy of Mary’s Immaculate Conception: You are walking on a jungle path, and are approaching a covered up and camouflaged pit which is right in front of you. You fall in, and after a while a stranger comes by, reaches in, and pulls you out. You have mud all over your feet due to mud in the bottom of the pit. But the stranger had a bucket of water to wash your feet for you. On another path also with a hidden pit, a woman is walking. Just at the verge of tumbling over the edge of the pit, the same stranger grabs her and pulls her back from the edge. She too is saved from the pit and the mud, but in anticipation instead of after the fact. Both of you were saved from the pit and the mud (original sin) and both of you had a savior (God). But in the woman’s case, she was saved before being tainted. Hence Mary has every right to proclaim “God my savior”, even though she did not know about God’s special love for her. shares that this verse is not only prophetic but also a divine command. To not honor Our Lady is to disregard the admonition of Sacred Scripture. Much more could be said but that will suffice for today. Anyway, just a few thoughts on our Lady’s birthday. Well, in my diocese, the obligation has been dispensed for this beautiful Solemnity. That being said, don’t let that stop you from celebrating and proving the naysayers wrong by going to Mass. The following reflection is provided to us by the Congregation for Clerics. Enjoy! The celebration of the Assumption is a day of joy, it is the feast of God’s greatness and of the greatness of man in Him. 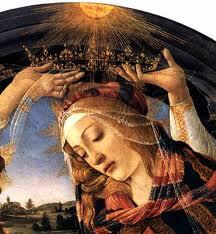 Today the Magnificat resonates joyfully, this extraordinary poem emerges from Mary’s heart and flourished on her lips. The Gospel canticle is a portrait of the Madonna, through which we can see her just as she is. It starts with the acclamation: ‘My soul magnifies the Lord’ that really means ‘proclaims the greatness’ of the Lord. Mary wants God to be great in the world and in her personal life. She is not afraid that the Lord can be a rival, she doesn’t fear that God in His greatness may take something of her liberty away. Mary knows very well that, if God is great, then we are also great. Our life is not impoverished, rather it is elevated, enlarged and enriched by God’s greatness and becomes great in the glory of the Lord. In the fact that our first parents thought the opposite, we precisely grasp the core of the original sin. They feared that, if God was too great, he would take something from their lives. They thought to put Him aside to have more space for themselves. This is also the great temptation of every man! This is also the great temptation of every ideology. However, where God disappears, man doesn’t become greater, rather he loses the divine dignity, the glow of heaven on his face. Only if God is great, then man is also great. Mary’s joyous humility invites us to understand that it is this way. We must beware of distancing ourselves from God. We are better to recognise that we are great in His presence and so we must ensure that He becomes important in our lives! It is important therefore that God is great also between us in both our private and public lives. Like Mary, we must make space every day for the Lord in our lives, starting with ones prayer and giving time to God. We don’t lose our time if we offer it to Him. If the Lord enters ‘our’ time, all our time becomes fuller and richer. Our poor time becomes God’s time and touches eternity! 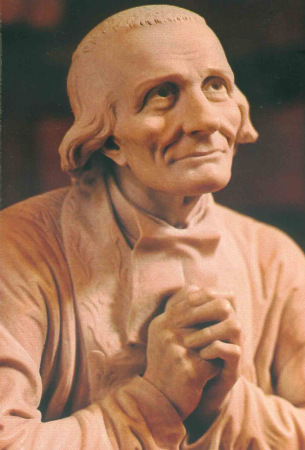 Today’s Solemnity reveals to us that God, in Christ, has definitively overcome and won the time and space for man, introducing him into His eternity. Our ‘eternity’ is based on his merciful love. He who is loved by God and welcomes His love doesn’t ever die. In Him, in His thoughts and His love we are always preserved and therefore become immortal in all our personal being. This love is the bearer of the immortality that we call ‘heaven’. God is so great as to have a place also for us. 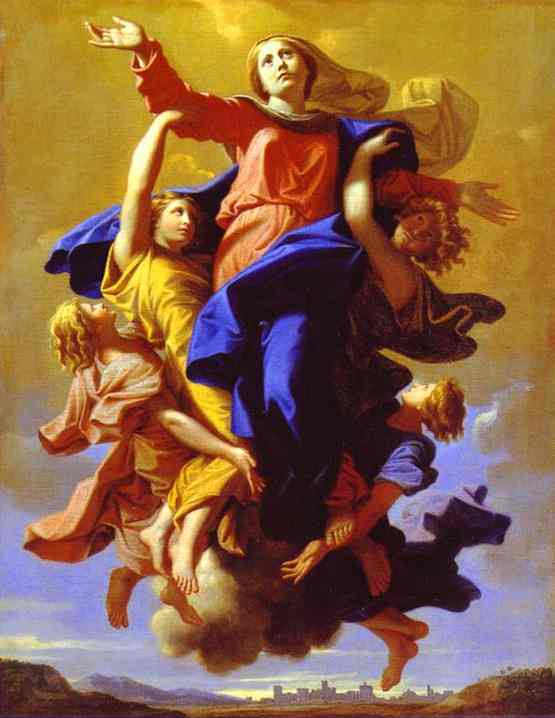 This is the meaning of the dogmatic expression of the ‘bodily Assumption into heaven’ of the Blessed Virgin Mary. This truth that gives us a profound joy today: the Most Holy Virgin Mary, with her Assumption into heaven, testifies to the authentic meaning of our existence. God has assumed into heavenly glory Her who was given to us by the Son at the foot of the cross. The Virgin Mary is close to each of us and she knows our heart, she listens to our prayers and she is close to us in our necessities and sustains us with her maternal goodness. We can always trust our entire lives to this sweet Mother. We thank the Lord for the gift of His masterpiece, the heavenly Mother assumed into glory and we pray so that the Church, by showing Mary’s beauty, may help mankind to recognise his own unprecedented dignity that is reflected in God’s majesty. After the Divine Office, many mark the day through the recitation of the Angelus. Now that we have entered Eastertide (Easter to Pentecost) we pray the Regina Caeli (To be more precise, it is prayed from Holy Saturday through Eastertide). It is most common to recite it at noon but also very appropriate at 6am and 6pm. It was in Franciscan use, after Compline, in the first half of the following century. Legend has it that St Gregory the Great heard angels chanting the first three lines one Easter morning in Rome, while following barefoot in a great religious procession the icon of the Virgin painted by Luke the Evangelist. He was thereupon inspired to add the fourth line. This is a beautiful tradition to mark time throughout our day. So, today my ministry needs some spiritual reinforcements. I hope that you can join me to pray that the power of the Holy Spirit would descend upon me and the team that I am working with as pray for healing of a dear friend. Also, wanted to share this picture by Carvaggio provided by Dom Mark Daniel Kirby at Vultus Christi. 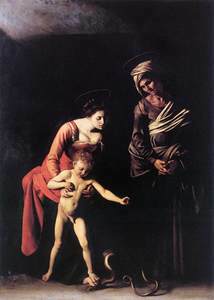 Caravaggio’s Madonna dei Palafrenieri, first exhibited in Saint Peter’s Basilica in 1606, is wonderfully disturbing. While Grandmother Saint Anne looks on, the Virgin Mother Mary allows the Child Jesus to place His little foot on top of hers; together the Mother and the Child crush the head of the serpent under their feet. The nakedness of the Child Jesus suggests that He is indeed the New Adam who, by His innocence, inaugurates a new creation: the Kingdom of God where only little children are allowed to enter. Thank you for the prayer support! This Deacon dearly needs committed prayer warriors to assist him. I will remember all of you today in prayer.